Have you noticed that your driving wheel is slightly vibrating? Do you hear a distinct thumping sound? Does your car seem to run out of gas quicker than usual? If on top of this your vehicle starts to pull more to one side, you should definitely stop and check your wheels. There is probably a crack in the rim. We strongly recommend not to drive with a damaged wheel. Even the smallest crack can result in a tyre blowout causing a potentially dangerous situation on the road not only for you but also for other traffic participants. Cracked alloy wheel repair is a complicated task, and you’d better leave it to professionals. Only a skilled mechanic can properly evaluate the damage and guarantee that you pass the MOT test after the repairs. The majority of modern cars have wheels that are made of an alloy of aluminium or magnesium with other elements. These metal mixtures are often lighter and more durable than pure metals. However, alloys are also more ductile which means they are easily cracked and deformed. If you have backed over a kerb improperly and bent one of your wheels, don’t try to fix it yourself as it will likely lead to a crack which is a potential safety hazard. Magnesium or aluminium wheel welding is a process that joins metals using fusion. No need to throw out your cracked rim! 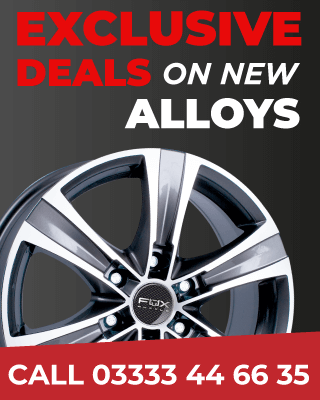 Alloy wheel welding costs much less than purchasing a new one. We can help you save money and buy yourself two more years of safe driving instead. Remember: 90% of cracked wheels can be repaired. If you don’t take care of it now, it is only a matter of time until you get a flat tyre or your wheel structure collapses altogether. Request a callback and let us get in touch with you! Our company offers express services in case of emergencies. We also fix hired cars. Rental companies charge excessively for any damages. With our help, you will be able to return the vehicle in prime condition without the need to explain yourself or pay extra. We have been in this business for over 15 years perfecting our skills and implementing innovative technologies to make sure we provide our customers with the best possible service. We offer high-quality cracked alloy wheel repair for BMW, Porsche, Mercedes-Benz, Audi, Volkswagen, and Vauxhall. What is more, our mechanics are super quick! Just drive in, leave your car, and pick it up within 48 hours. All you have to do is request a free quote to book an appointment with one of our professionals. We accept payments by credit card. If you still have any questions regarding our services or cracked wheel repair cost, don’t hesitate to request a callback. We check that the tyre is not leaking pressure anyway else on the wheel by using a water bath. The wheel is then checked for buckles if the wheel is cracked it is common to find a buckle. If the wheel is buckled we can straighten it if you require. We then grind the weld out to get rid of any contamination before welding. We weld on both sides and leave a run on the weld to give the weld more strength. An angle grinder is then used to make sure the tyre fits and holds pressure. Tyre fitted and balanced one final air pressure check and the wheel is road worthy again. What Britain’s potholes are costing drivers – particularly cars with damaged alloy wheels? It is beyond belief how much road tax we pay (we know it doesn’t really get spent on roads) and we have to drive on sub-standard roads covered with potholes in all parts of the country. With more snow and ice in the forecasts we are going to be hit again with more potholes and the old ones are still there. The condition of our roads affects businesses as well as private drivers according to a report from the RAC published in January there are now around 675,000 potholes on our roads so it’s only a matter of time before your car hits one. It is not only the cost to be considered but it is also dangerous, avoiding a pothole can cause a collision and not knowing your wheels are damaged can be even worse. Unfortunately high performance wheels suffer more that the old heavier steel wheels and are also more brittle which makes them particularly vulnerable to potholes and other damage on the road like raised drains and manholes where the tarmac has eroded. The outcome is that they crack or buckle and the vehicle is no longer safe or roadworthy, not something you want to think about while on the school run. Many garages are unable to repair cracks and buckles and like to recommend new expensive alloy wheels but there is an option! Repairing cracked wheels is less expensive and once a crack has been TIG welded it is perfectly safe. So what do you do if you meet the dreaded pothole? There are solutions. Driving home on dark winter evenings it is almost impossible to see the potholes and cracks in the roads especially when there is standing water on the road so you are driving along keeping to your side of the road, drive through the big puddle and wham straight down the pothole. So what do you do? Find your local wheel repair specialist to check your wheels for any sign of cracks or buckles and have the repair done immediately it is not something that can wait. It will also save you a lot of money having the repair done before it becomes terminal it is also the safest course of action.